Look no further for first-rate central heating and plumbing services from an established company with more than 10 years of experience in the business. At MD Hoyland, we provide an extensive range of plumbing repair and maintenance solutions that take the stress out of household upkeep for residents in Lincoln and Gainsborough. Don’t despair, blocked drains and broken radiators are no match for our experts. As an OFTEC-registered company, we pride ourselves on delivering top-notch services each and every time. With a keen eye for detail, we excel at providing practical, cost-efficient solutions for home owners and business customers alike. We do it all here at MD Hoyland, from plumbing repairs to home renovations in Lincoln. Trust in our highly skilled experts for a complete restoration package from start to finish. We guarantee that all projects are undertaken with your needs in mind. 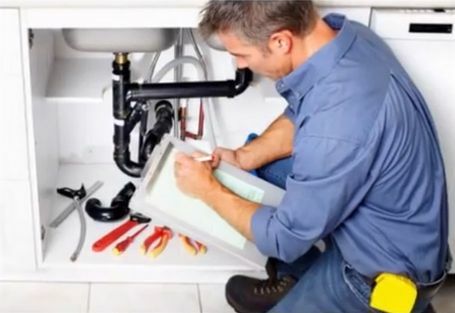 Count on MD Hoyland for comprehensive plumbing services at unbeatable prices. Over the years, we’ve built up an outstanding reputation for prompt response times and top-quality workmanship. We guarantee results that exceed your expectations every time. Our business relies on recommendations from satisfied customers, so you know we won’t rest until you’re happy with every aspect of the work we have done. Rest assured that our reliable team are always ready to offer advice and answer any questions. Simply call us today for a free, no-obligation quote, and watch as your household worries disappear. Contact MD Hoyland in Lincoln on 0800 047 5922 for a quick fix for blocked drains and broken heaters. Alternatively, send us an email to mdhoyland@me.com for more information on our failsafe central heating and plumbing solutions for your home in Lincoln and Gainsborough..